Gut Wrenching! Suspicious Husband Uses Drone to Spy on Cheating Wife - VIDEO!! 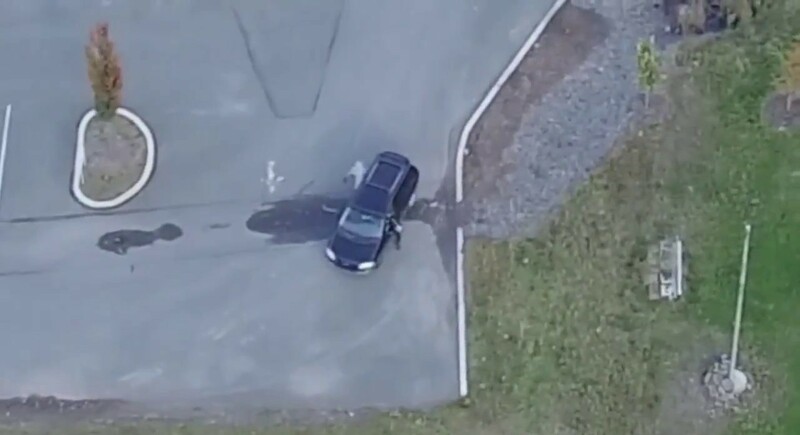 A suspicious husband thought his wife might be cheating on him, so one day when she went for work, he decided to catch her in the act with the help of a – drone. The footage he captured showed that instead of going to her job, his wife went to a parking lot and met another man. John, who would not give his last name, said that he caught his wife of 18 years cheating. John says all his suspicions were confirmed when he saw his wife meeting up with a guy in a SUV at their local drug store. No word yet if he’ll also use the drone to deliver divorce papers.